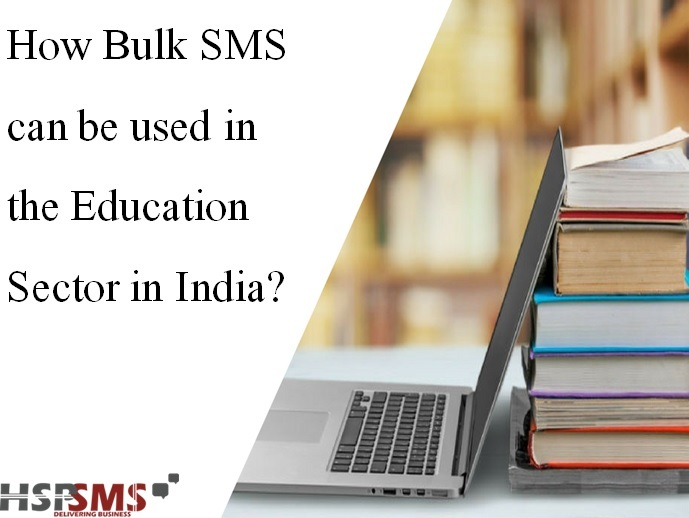 How Bulk SMS Can Be Used In The Education Sector In India? Communication is the key to run any successful educational institution. We all remember the times around ten or twenty years ago when we would reach the gates of our school only to find out it was closed due to extreme winter. There was an eerie sense of satisfaction but also an undeniable agitation for not getting this information in advance. Who likes to compromise on some extra hours of sleep anyway! Recently, the use of bulk SMS has bridged this communication gap between schools/colleges and parents. Parents and students no longer have to wait around for the school/college to send notifications by post, they can be updated simply with the ease of their cell phones via SMS. Mobile technology has come in very handy for this purpose. Any impromptu change in the schedule of a school/college can wreck havoc on its functionality. For this purpose, bulk SMS massaging comes in very handy and can be used to send out weekly or daily messages to staff and students. Bulk SMS is an extremely efficient way used by educational institutions to reach out to tons of people at once. They can be notified close to the time of important events or deadlines. Parents often might have some unresolved queries about their children and various things related to them. For this reason, short-codes and USSD codes can help answer their questions. It’s not always feasible for parents or children to visit the premises of their educational institution for smallest of queries. For that reason, bulk SMS is a cost-effective and a time saving technique to make people’s lives simpler. One major problem with teenage students is their unannounced absence from their school/college premises. In such cases, bulk SMS helps to notify the parents or guardians of the children missing from school. This way, parents can track the attendance record of their children and can even notify the school via a text message if their child is unable to attend school/college on a particular day. Homework is a crucial part of the educational curriculum. While some students are sincere enough to take care of it by themselves, others need to be kept under a strict watch of the school. For this purpose, the school/college can notify parents by sending a text when their children haven’t done the homework assigned. There’s no denying that sending messages helps to bridge the communication gap between parents and staff but it also aides in facilitating their communication. Schools and colleges no longer have to follow the cumbersome traditional methods of circulars and notifications, they can simply connect with parents via mobile phones, a procedure which doesn’t even require internet connectivity. Feedbacks are very crucial for continuous and comprehensive growth of an educational institute. Every educational institute can make use of bulk SMS service for the feedback and carrying out surveys. Sending simple messages to parents and students and asking about their feedback is the simplest way to know where your institution stands. An institution can improve upon its shortcomings by utilising the valuable feedback from parents and students. Awry results can be a bit discouraging for some students and they might even hide it from their parents sometimes. Schools and colleges can inform the parents about the same using bulk SMS service. This helps in keeping a check on the students and parents can constantly monitor the performance of their children. It even helps to encourage students to perform better in exams as they know their results would never be hidden from their parents. Bulk SMS service is a fast and a convenient way to inform parents about any emergency, like natural calamity, fire breakout, terrorist attack, etc. In such cases, parents can be immediately be made aware of the distressful situation and can take steps accordingly. Sometimes, due to unforeseen circumstances like extreme weather conditions, political upheavals, accidents, etc., the school or college might remain shut. Such impromptu closure can be brought to students’ notice with the help of bulk SMS service. Similarly, is a teacher falls ill, he or she can inform the students via bulk SMS about cancellation of classes. Educational institutes are always on a constant lookout to take themselves to new heights by adding to existing infrastructure, collaborating with international organisations, organising workshops, etc. In such cases, they can inform parents and students about their achievements and accolades via bulk SMS. It helps in building the credibility of the institute in the eyes of the people. While technology is considered a bane by some, it definitely has its set of boons. It has undoubtedly made our lives simpler over the last few decades. It has not only bridged the gap between parents and school/college, but has also augmented the education sector of the country tremendously. Parents are today more efficiently informed about the paraphernalia that surrounds their children, as compared to twenty years ago. As informed individuals, they are in a better capacity to make informed decisions about their children’s education. While technology as a whole is to be credited for this, bulk SMS has definitely tipped the scale here. Previous Previous post: Is B2B SMS Marketing an Effective Strategy to Invest On? Yes! Next Next post: Is Cloud Hosting Better Than Shared Hosting For Your Business?